Saint Paul’s is located in Earleville, MD on route 282. Services are held every Sunday morning at 8:30 A.M. Directions to the church can be found by clicking here. Saint Paul’s Church assumes a prominent role in the history of Methodism in America. It has the significance of being one of the first Methodist societies established in what is known today as “The Garden Spot of Methodism.” Many of our founders rode these roads years ago. 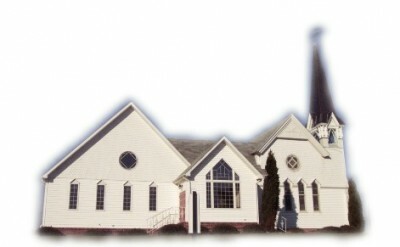 It is believed that Saint Paul’s United Methodist Church at Johntown originated as a Methodist society within the membership of Saint Stephen’s Episcopal Church in Earleville. Available records seem to indicate that it was during the divisions of the Revolutionary War when the society at Johntown became established as a separate Methodist Church. It seems apparent that this society sparated from the Church of England at about the same time that the united States separated from England. The names of William Watters, Philip Gatch, and Freeborn Garrettson, which is associated with the founding of the Methodist society at Johntown, and two of which are memorialized in windows in the church, show that it’s an integral part of the history of Methodism in America. A permanent church building was constructed sometime prior to 1800, and was destroyed on. The present church building was constructed in 1984, and the name “Johntown Chapel” was changed to Saint Paul’s Methodist Church. Today, we find ourselves a growing congregation celebrating our history, but looking forward as well. Located in a recreational community we have the privilege of worshiping with summer vacationers. Come join us!